Please feel free to use these materials in your own classroom, following the usual conventions of acknowledging the source. I updated most recently on June 5, 2018 after a flurry of getting myself and my files organized as I shifted to a lovely new computer. I’ll start with my annual collections of diverse offerings — the suggestions, lesson ideas, and commentary on contemporary situations and research that characterize this TOK blog on knowledge across the year. 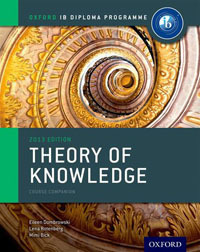 Next are reflections on teaching the Theory of Knowledge course that I love. This advice is now three years old, but I offer it still to new teachers in hopes that they may find the pleasure in the course that I’ve found myself. I’ll also include below part of a paper for the IB that is ancient history now. My comments on who and what the TOK teacher is may be so obvious now that I should really just delete this one. You decide. At least it’s not long. connecting Overview Conceptual Understanding of knowledge with Applied Critical Analysis. Why simplify the Knowledge Framework into questions What, Why, and How? For my reasons, see my blog post: Simplifying the knowledge framework, entry level. These guide sheets distill critical questions ready to be applied to new situations, media, or student research. The first is taken from the OUP book Theory of Knowledge (2013) which I wrote with my TOK colleagues and dear friends Lena Rotenberg and Mimi Bick. Last are classroom lessons, some with cartoons by my husband Theo to give them some fun. They’re self-sufficient to use as class handouts, but you’ll find ideas on using them in the blog posts from which I’m presently extracting them. For related ideas on any of these documents, don’t forget that there’s a tag cloud on this website that can bring up recurrent keywords, and that there’s also a search window. And that’s it for now! There are plenty of lesson ideas threaded through the blog posts, but I don’t feel like formatting any of the others for download at the moment. I hope that you find something useful to your own thinking or your own classroom in here somewhere! What wonderful resources, especially for a seasoned teacher but a novice in this subject area. Thank you, Eileen! Enjoy the new computer.